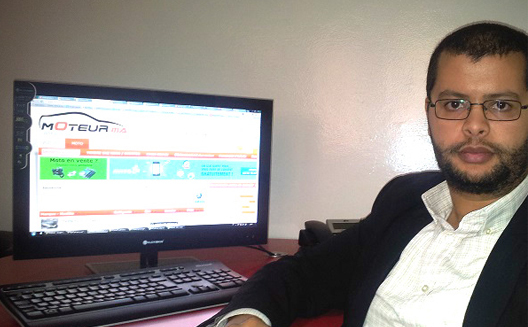 Moteur.ma lets Moroccans buy cars online. 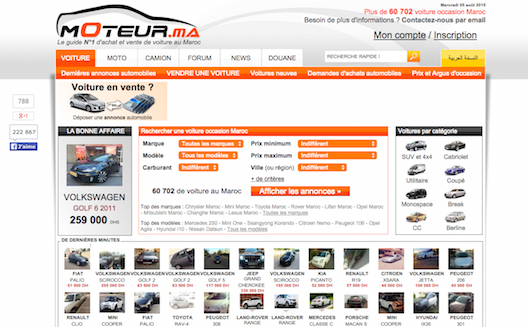 Car classifieds website Moteur.ma announced late last week that they raised an investment via Frontier Digital Ventures. The Malaysian fund specializes in classifieds platforms and is taking a 32 percent equity stake. This investment will allow Morocco's largest car classifieds website in the country (in terms of page views, according to Alexa) to compete with Avito. Moteur founder Abderrazak Yousfi declined to confirm the size of the ticket, but did say that it was more than the amount that Moroccan funds typically invest. MNF invests at most eight million dirhams (roughly €750,000), he said. In 2007, Yousfi was looking to buy a car but couldn’t find anything online. Convinced that Moroccans needed a car website, he created moteur.ma (moteur is French for engine). The website was basic – it aggregated automotive content, tuner photos and videos, and offered a forum. It also enabled him to interact with the Moroccan web users. In 2009, based on users requests and thanks to friends’ investment, he added spec sheets and allowed users to post classified ads. Two years later, he turned the website into a community and used AdWords to monetize. Today, the website is dedicated to car classifieds but also offers a few services to help users decide which cars to buy. Aside from the forum, which enables Moroccan to get info before buying a car or when meeting technical and mechanical problems, and spec sheets, the website offers a tool that calculates the price each car should be sold. 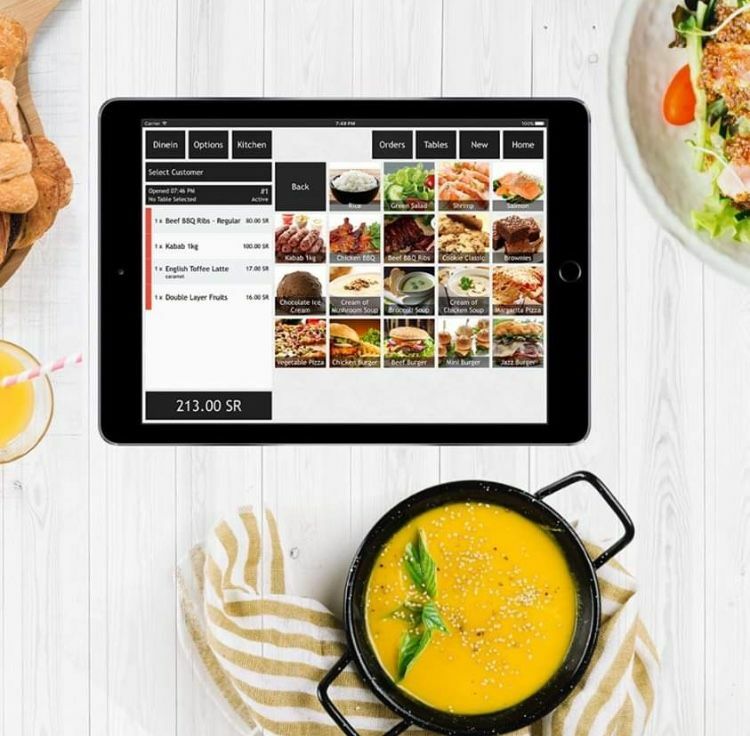 Moteur.ma has some competition in other specialized platforms like Voitureaumaroc and more general platforms like Marocannonces.ma and the ubiquitous Avito.ma. Specialization enables Moteur.ma to offer a service of a quality that larger and more general websites like Avito can’t match, Yousfi said. 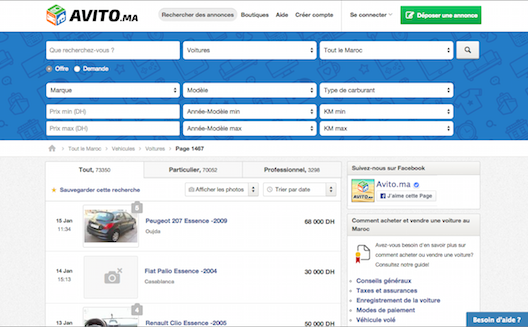 Moteur.ma's platform offers information, moderation and an ad format thought for cars selling – although Avito’s filter doesn’t look much different from Moteur.ma’s. Avito also offers search filters. Contrary to listings on more general websites, cars listed on Moteur.ma, often by automotive industry professionals, are in the middle to upper price range, Yousfi said. The incoming funds should help Moteur.ma compete with Avito. Yousfi reached out to foreign fund in an effort to raise the funds he needs. 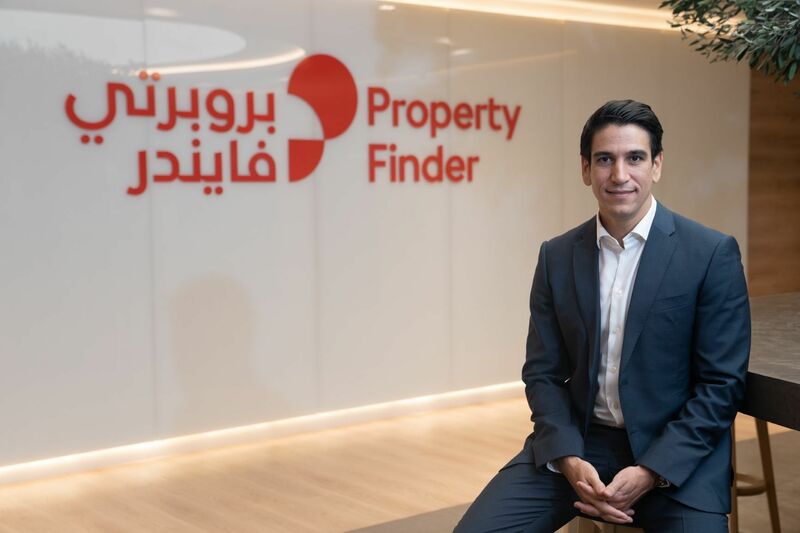 Frontier Digital Ventures responded positively. It’s the third investment in Africa for the firm, as they invested this year in Tanzania’s Kupatana.com and Mozambique’s Propertymaputo.com. 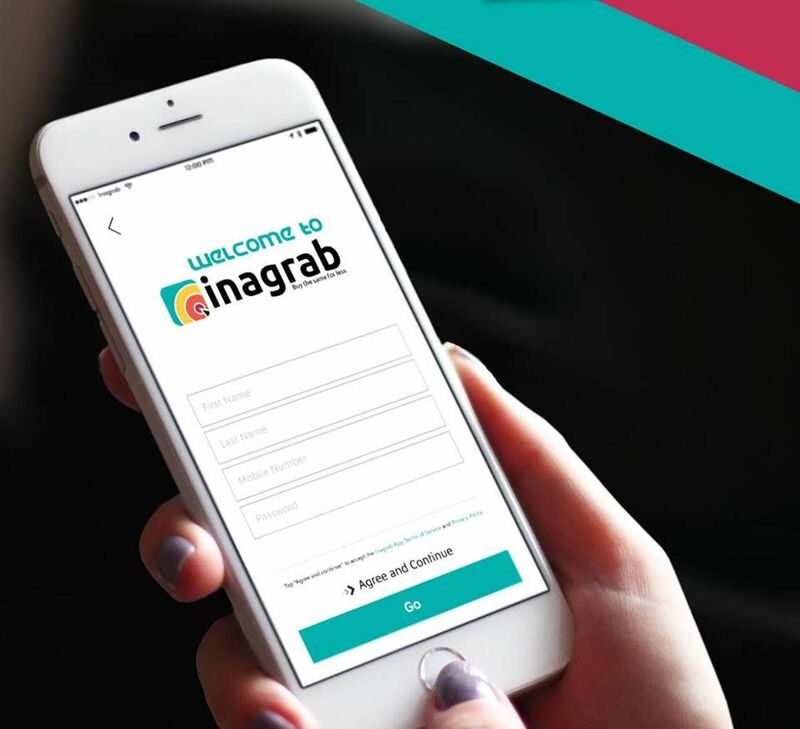 Created in 2014 by Shaun Di Gregorio, former CEO of Asian classifieds group iProperty, and backed by Catcha Group, a leading investment firm in Asia, this fund should offer than just money. “We passionately believe that with our investment into the business, alongside our strategic and operational input, we can make Moteur.ma an even more exciting success story,” Di Gregorio said in a press release. This investment will enable Yousfi to hire a dedicated team – so far he has been working with members of the web agency he created in 2008, Webo, and freelancers. This will allow him to increase the number of pageviews and of ads posted by professionals (car dealers, mechanics, etc). In a year, ads by professionals should make up 70 percent of all ads, up from 50 percent. Then, the team will turn to monetization through online ads and paid services for professionals. Until now, the car sector has been spared from the spending bonanza that ended with Bikhir buying out Avito, or the arrival of international and regional websites as is the case in the real estate sector. Could this investment mark the beginning of a new era?